Up In Your Head: Can Having Tourette Syndrome Make You a Superior Athlete? 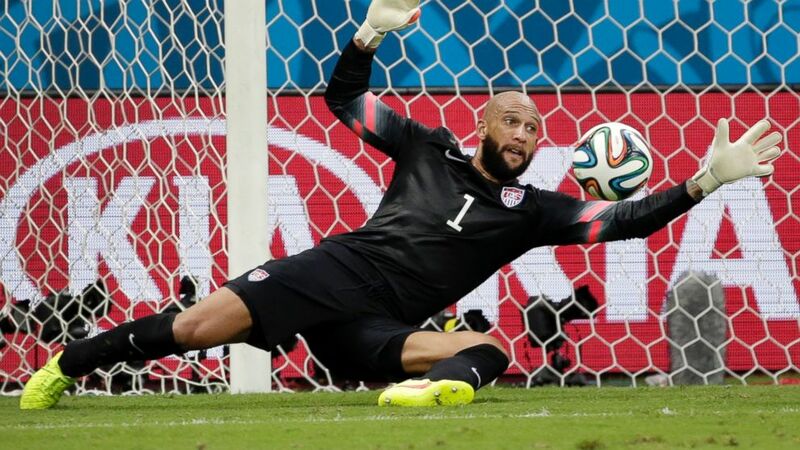 Goalie Tim Howard and other star athletes believe having the condition helps. camera (Felipe Dana/AP Photo) United States' goalkeeper Tim Howard saves a shot by Belgium during the World Cup match between Belgium and the USA at the Arena Fonte Nova in Salvador, Brazil, July 1, 2014. Tune into watch this story on ABC News' "20/20" on Friday, March 13 at 10 p.m. ET. Soccer player Tim Howard, one of the best goalies in the world, became an American hero with his record 16 saves in a match against Belgium at the World Cup last month. But Howard believes his incredible athletic ability is helped by a secret weapon that lies deep inside his brain. The soccer stud suffers from a neurological disorder called Tourette syndrome that causes him to constantly twitch involuntarily. It's estimated that as many as 200,000 Americans suffer from a severe form of Tourette syndrome, and as many as one in 100 Americans show milder symptoms, according to the National Institute of Neurological Disorders and Stroke, and symptoms usually begin in childhood. Boys are three times more likely to have the condition than girls and there is no known cure. Howard was first diagnosed when he was 10 years old. As Howard struggled with the social stigma of the disorder, he flourished on the field, eventually becoming the top goalkeeper in the United States. Now, at age 35, Howard thinks his condition doesn’t hurt him, but rather helps him, tend goal. Howard believes his Tourette's gives him an edge with abnormally rapid reflexes allowing him to move faster than his opponents. 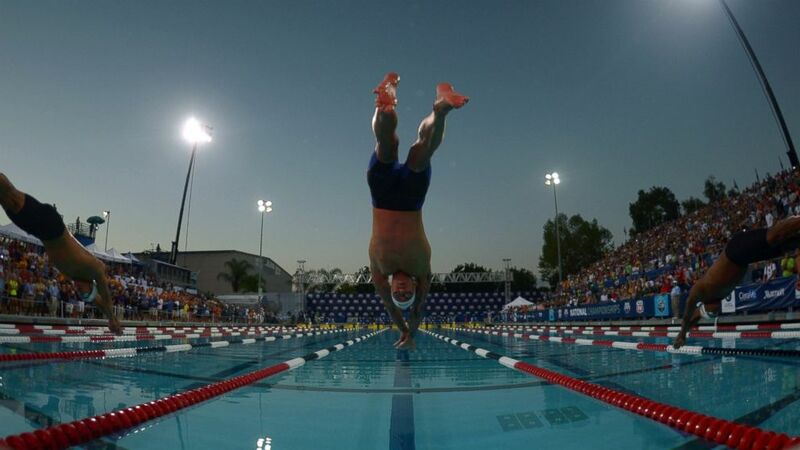 (Kirby Lee/USA Today Sports/Reuters) Anthony Ervin dives into the pool at the start of the 50m freestyle in the 2014 USA National Championships at William Woollett Jr. Aquatics Complex in Irvine, Calif., Aug. 10, 2014. Olympic swimmer Anthony Ervin, who took gold at the 2000 summer games in Sydney, also suffers from Tourette's. He just reclaimed the national championship title in the 50-meter freestyle on Sunday. Whether his condition makes him one fastest swimmer in the country, Ervin said he can only speculate, but believes it does help him. Ervin isn’t sure his Tourette’s gives him quicker reflexes, but he, like Howard, believes he can somehow turn the tics into speed. (ABC News) Olympic swimmer Anthony Ervin sat down with ABC's Elizabeth Vargas for "20/20." Researchers believe Tourette syndrome originates in the basal ganglia region of the fore-brain, the same section of the brain that controls many motor functions. Famed neurologist Oliver Sacks backs up the theory that Tourette’s can supercharge the brain, giving those with the disorder extraordinary quickness and swifter reaction times. However, Dr. Jonathan Mink, who specializes in Tourette syndrome and other movement disorders at the University of Rochester, and is the co-chair of the National Tourette Syndrome Association’s scientific advisory board, is more skeptical, citing conflicting studies. He said the science isn’t there yet to definitively prove that Tourette's can help give athletes with the condition superior skills or make, say, a basketball player the next Lebron James. “The studies that have been done of people where actually measuring their movements, measuring how fast their movements are and the reaction times show that on average, people with Tourette Syndrome are about the same as people without,” Mink said. In fact, Mink said there aren’t really any advantages to having Tourette's, which carries heavy social stigma and physical exhaustion. But it’s not just world-class athletes who see a positive side to their condition. TV and movie actor Dash Mihok, another Tourette’s sufferer, said he had every tic from involuntarily jumping up and down to vocal tics to touching his mouth to his knee. (ABC News) Actor Dash Mihok sat down with ABC's Elizabeth Vargas for "20/20." But, remarkably, once he is on set and hears the director call “action,” his tics stop. Likewise, Tim Howard said he never has tics when a ball is coming his way. But once Howard leaves the field, or once a director on a movie set yells “cut” for Mihok, the tics reemerge. Dr. Jonathan Mink believes the reason for this may have to do with how these professionals are focusing their brains on the task at hand. “I think it has to do with the mechanisms in the brain that are producing the tics, that they compete with the mechanisms of the brain that are producing the other activities: the playing, the sport, acting,” he said. Having learned to deal with his condition over the years, Mihok said he now believes his Tourette's is a gift. For more information regarding Tourette syndrome, visit the National Tourette Syndrome Association website. Tune in for the full story on ABC News' "20/20" on Friday, March 13 at 10 p.m. ET.